Crystal Lee Sutton was a hero. She did not have superhuman strength yet, she became hero to the labor movement in the 1970s, when took on her employer, a North Carolina textile plant, and unionized the factory floor. Her story became famous nationwide in 1975 after New York Times reporter Hank Leiferman wrote the book “Crystal Lee: A Woman of Inheritance”. 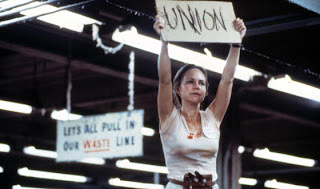 In 1979 the movie 'Norma Rae' was a fictional adaptation of Sutton’s struggle to unionize the J.P. Stevens plant in Roanoke Rapids, North Carolina. That year, the actress Sally Field who portrayed Crystal Lee Sutton won an Oscar. Unfortunately, all that Crystal Lee Sutton had stood for and gained, at 68 she died after struggling for several years with meningioma, a form of brain cancer. In the end, it was her health insurance company who had delayed her treatment. Since the beginning of the United States women of all races, sexual preferences, and financial situations have fought for equality. Any fight for equality begins with the desire to be treated with respect. I believe that the core of respect is kindness. Kindness is rare for anyone, male or female. So, a Sophisticate knows that kindness is something everyone deserves but no one can expect. A Sophisticate also knows that kindness in life is like a drop of water in a desert. Therefore, when a Sophisticate sees a cause that she believes in or knows to demand or fight for respect she stands up. A Sophisticate stands up for what she believes is right, just, fair, and equal. Regardless of sexual preference or the color of her skin or her financial situation, when a Sophisticate sees a place or time where she could be treated with kindness or believes that a cause is ethically right she stands up. 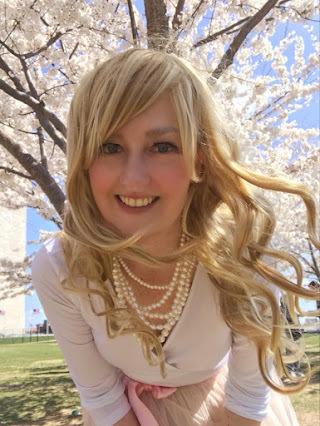 Regardless of whether a Sophisticate is standing up for herself or others, she knows that she can fight for what she should exist in reality instead of just her imagination.